The OCRCFL's service area comprises the Central District of California which includes approximately 250 law enforcement agencies. Our 15 participating agencies include local and federal agencies from Orange, Los Angeles, San Bernardino, and Riverside Counties. The OCRCFL does not hire personnel directly, but is staffed from its participating agencies. 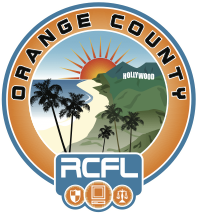 Benefits of RCFL participation are numerous – Contact the Laboratory Director - Stephen Crist to learn more about the opportunities for your agency to join the OCRCFL.